New York (TADIAS) – In celebration of Women’s History Month, Tadias is interviewing extraordinary Ethiopian women who are blazing trails in various fields including science, art, philanthropy, and business. 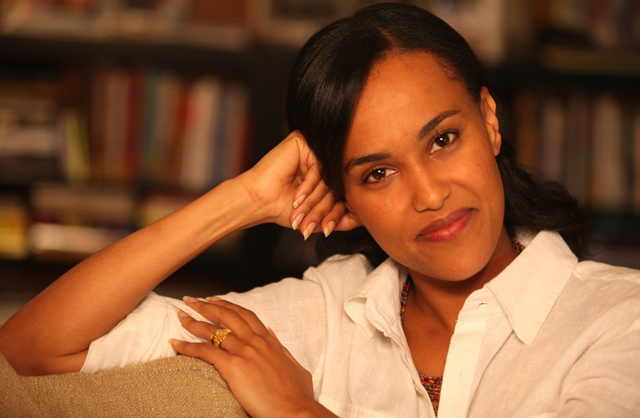 We launch our series with a Q&A with Dr. Mehret Mandefro, physician, film producer, anthropologist and social change activist. She is a former White House Fellow, Fulbright Scholar, and currently teaches at the Department of Health Policy at George Washington School of Public Health & Health Services. Mehret is also the co-founder of Truth Aid, an organization that produces visual ethnographies of health and social issues. Their current film project entitled Oblivion is based on a true story about a legal precedent-setting case that outlawed abduction for marriage in Ethiopia. Mehret Mandefro: I love teaching and working with students. I find the next generation to be very inspiring. I also like having the time to think, write, and create new forms of knowledge that will challenge audiences to think different about health and human rights. Mehret: My mother, Tsedale K. Mandefro, Abebech Gobena, Sister Zebider, Meaza Ashenafi. Tadias: What challenges have you faced as a leader and how did you overcome those hurdles at work or life in general? Mehret: In some work environments where I have been the youngest and happen to be the only woman sometimes it was a challenge to have my voice heard. So I went to great lengths to be very clear about what I thought. Learning to express your opinions in forums that are not necessarily friendly is an important skill for women to develop. Mehret: You have to believe in your vision above all and be willing to put in hard work to execute. You also have to surround yourself with a support network that can nurture your growth. That’s very important. Mehret: I was born in Addis Ababa, Ethiopia and I grew up in Alexandria, VA. I attended Harvard for college and medical school. I also received a Masters in Public Health from the London School of Hygiene and Tropical Medicine. My passion for public health and medicine emerged out of a study abroad trip I took to Kenya as a junior in college. Mehret: Dream big. Work hard. But most of all never be afraid to do something different. Thank you Dr. Mehret and best wishes with your endeavors. Stay tuned for highlights celebrating Ethiopian women role models and change agents. Dr Meheret, I like what you are doing with Truth Aid. You are a very talented, smart woman with a vision for positive change! Go Girl! !